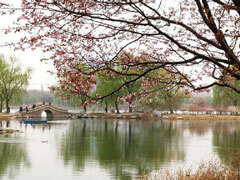 Zhongshan Park: Harmonising mind and body Beijing Zhongshan Park has everything it takes to draw your attention and lure you to spend a day there. 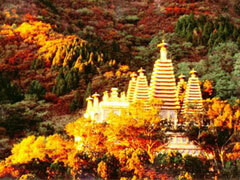 Xiangshan (Fragrant Hills) Park Due to Xiangshan Park's high elevation and dense cover of trees, spring arrives late in the area and summer days are always pleasantly cool. Botanical Gardens There are 3,000 different plant species in the gardens, and many famous and rare plant specimens are on display. 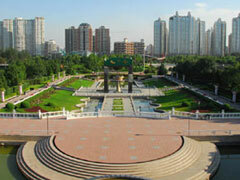 Tuanjiehu Park The park covers an area of 277 acres and 67 acres of the lake. 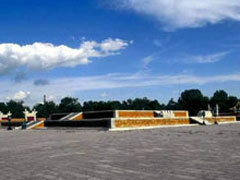 Ritan Park Ritan was built in the ninth year of Emperor Jiajing reign in the Ming Dynasty and it was used to be the place where emperors in Ming and Qing feted the "Sun God". 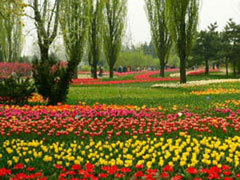 Haidian Park Haidian Park covers Changchun Park, Xihua Park, Quanzong Temple and other royal park sites. Ditan Park Ditan (The Earth Altar) was also known as Fangze altar. 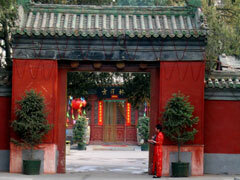 The altar is the second largest one of five ancient altars in Beijing. 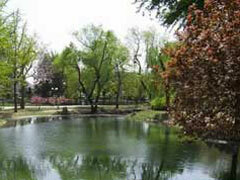 Chaoyang Park Chaoyang Park is a landscape-oriented, multi-functional large-scale park in Beijing. 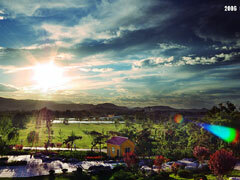 There are forests, playground, and art square that placed within the park. Grand View Garden (Daguanyuan) The Grand View Garden, built in 1988, is modeled on the garden described in the Chinese classical novel A Dream of Red Mansions, written by Cao Xueqin. Taoranting (Joyous Pavilion) Park Taoranting Park derives its name from the Joyous Pavilion that once stood on the grounds of the Temple of Mercy (Cibeiyuan). Yuyuantan Park There were a spacious hall and a pool where the emperors went fishing in Yuyuantan Park. 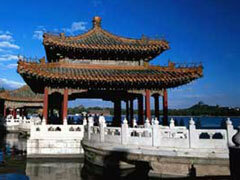 In 1773, Emperor Qianlong had an imperial resort constructed here. 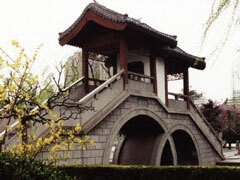 Jingshan (Prospect Hill) Park Prospect Hill (Jingshan) is situated just north of the Palace Museum. 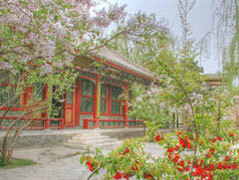 From the Yuan Dynasty onwards, this area was a "forbidden garden". 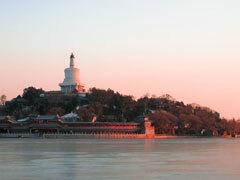 Beihai Park Beihai, located in the center of Beijing, was a pleasure palace of Liao, Jin, Yuan, Ming and Qing emperors.